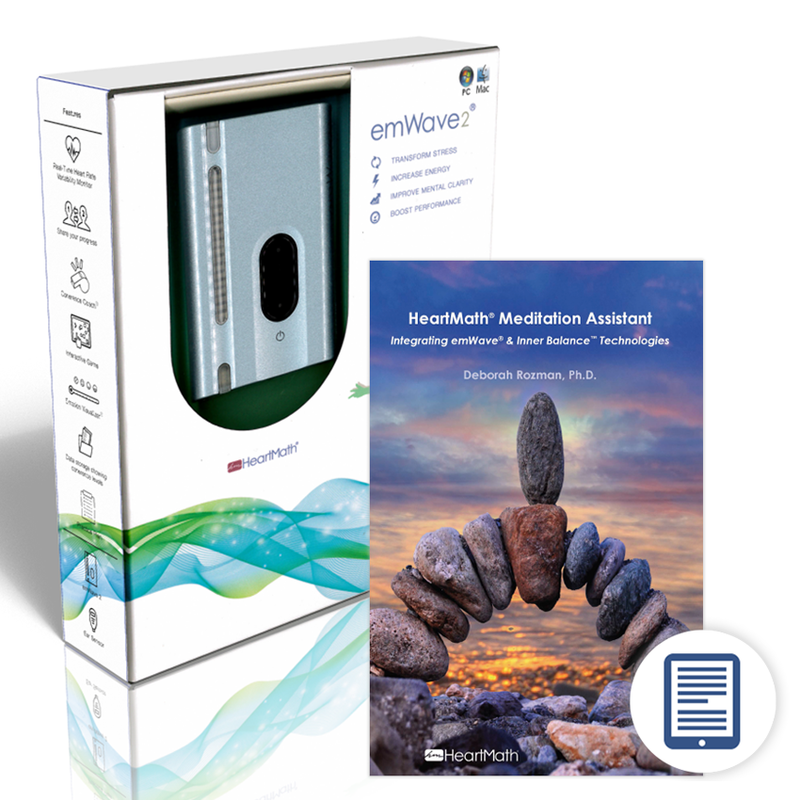 This emWave2 package comes with the Meditation Assistant PDF. The HeartMath Meditation Assistant provides a comprehensive understanding of how to use the emWave or Inner Balance to enhance your spiritual/self-help practices. Using the emWave or Inner Balance with the HeartMath Meditation Assistant can be a facilitator to any system of meditation, self-help or healing techniques. In this program, all systems and techniques are honored and respected. Whatever practices you follow, using the emWave or Inner Balance creates more ease and flow from the heart, which helps you get the most out of your meditations and feel the benefits you are seeking more quickly. Follow this guide and you will learn how to use the emWave or Inner Balance to experience new enrichment from your efforts. The emWave or the Inner Balance used with the HeartMath Meditation Assistant will help you develop a deeper heart connection, refine your practices and get more value out of the time and energy you put into them. The emWave technology is an innovative approach to improving wellness and facilitating personal growth based on learning to change your heart rhythm pattern to create coherence; a scientifically measurable state characterized by increased order and harmony in our psychological and physiological processes. emWave technology collects pulse data through a pulse sensor and translates the information from your heart rhythms into graphics on your computer or into easy to follow lights on the portable emWave2. Used just a few minutes a day, this simple-to-use technology helps you transform feelings of anger, anxiety or frustration into more peace, ease and clarity. As you practice on the go or at your Windows or Macintosh computer you increase your coherence baseline and your ability to take charge of your emotional reactions. Health, communication, relationships and quality of life improve.